At Whittier Narrows Golf Course, we specialize in creating memorable and unique private events, including wedding ceremonies and receptions. If you are searching for where to host your next celebration – look no further than Whittier Narrows. 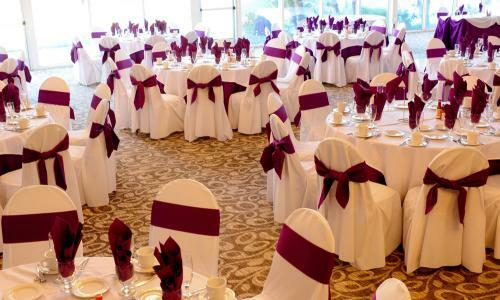 With both indoor and outdoor flexible options for ceremonies and a beautiful banquet facility with room for up to 144 guests, we have the expertise and facilities to help you host a flawless event. From small, intimate business dinners and bridal/baby showers to corporate meetings, holiday parties, birthday and anniversary parties, fundraising events, golf tournaments, and other special occasions, we offer unrivaled amenities and event management services, all underscored by our friendly, personalized service. We host events of all types and sizes and offer packages that are affordable and customizable. Our experienced team will work with you to make sure that your special day exceeds your expectations and fits within your budget. At Whittier Narrows, we offer unparalleled service every step of the way. We have exceptional spaces for hosting your next party, and we’ll go the extra mile to make sure your celebration is picture perfect.